"Para sa pagmamahal sa bayan!" Such is the passion of the catchphrase for this local-loving pop-up that is just in time for Valentine's season. 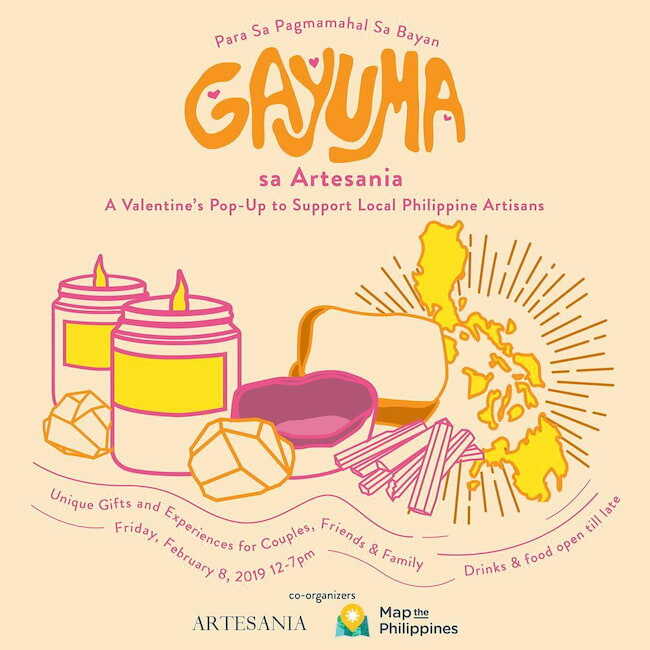 This year, express your love to the country by supporting our local artisans at the Gayuma sa Artesania, happening on February 8 from 12PM to 7PM at Artesania, Makati. Gayuma sa Artesania welcomes everyone to their free event, offering a wide array of products from over 20 participating local brands. • Crows Craft Brewing Co. 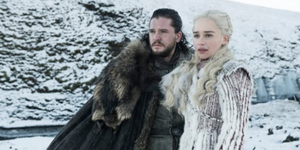 Moreover, there will be tarot card readings starting at 3PM, while the Happy Hour (with their DJ, food, and drinks) will be open from 5PM until late. There are also unique gifts to take home just for you and your company! Do not miss this chance to be entranced by local artisans only at the Gayuma sa Artesania! Artesania is located at 910 Arnaiz Ave., Makati. For more information, visit their Facebook page or you can call them at 0917 328 9238.